Charlie Brown is much better at football than baseball. Today, he even nearly scored a goal. Charlie Brown runs towards the goal with the ball, dribbles around a player from the other team and takes a shot ... just past the goal. Oh well, that’s still much better than he manages in baseball. 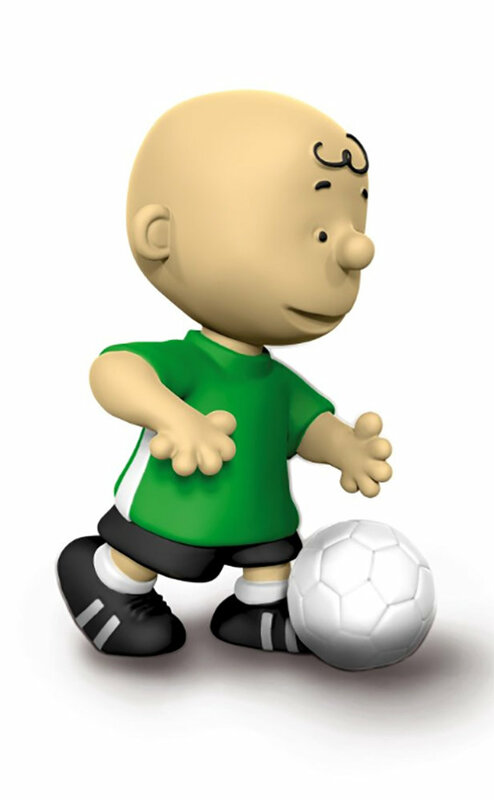 Come on Charlie Brown, you can score today!